Bonethane ® & IPA Acrylic splashback & shower wall panels are made from a superior quality acrylic / polymer sheeting showcasing robust performing surfaces used in residential and commercial surroundings. Our superior coating technology on or IPA Acrylic and high heat polymer wall panel Bonethane®, assist to banish bacterial growth, calcium deposits, & unsightly water marks retained by oil build ups. This revolutionary product line encourages a sanitary way to protect the kitchen and bathroom wall surfaces. 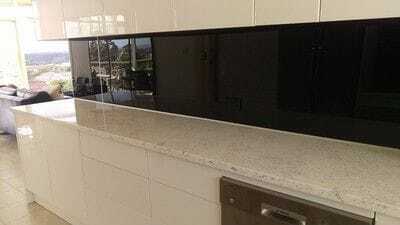 ISPS Innovations create stunning Kitchen Splashbacks in Acrylic, Bonethane High Heat Polymer Wall Panels & Toughned Glass, so you know you have a choice and grade suitable for all environments. Just like glass splashbacks & wall panels, grout is a thing of the past. 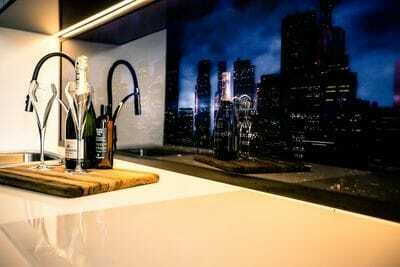 New homes and DIY Renovations are turning to the use of Bonethane ® High Heat Polymer Sheeting and IPA Acrylic Splashbacks and Wall Panels as their preferred Glass Alternative choice across Australia. With 20 + years in the industry our Colour face and Colourback technology is unmatched in colour and weathering performance. Our modern contemporary colours, ISPS EFX and printed designs in IPA Acrylic Splashbacks and Bonethane Wall Panels let the imagination run wild with eye catching full-bodied Australian Made building materials that last in high trafficked areas backed by superior colour warranties and performance. ISPS Polymer Splashback & Shower Panels can be installed over existing tiles. Making your job clean and fast. With the bonus of added GRIPTEK backing there is no need to coat walls a neutral colour as the sheet is built ready to go. This eliminates shadow lines, bleeding of silicone and many other benefits. Tiles should be meticulously cleaned free of residue, using a quality degreaser from Bunnings, Mitre10 or hardware store. This should be a breeze to removre any risidual grime. Once satisfied with clean, rinse off any residue with clean warm water and you're good to go. GripTek backing can also be applied to Zenolite, Vistelle, PLEXGLAS® high gloss sheeting to assist with the elimination of coating your wall a neutral colour, sanding the backs of sheets, stopping bleeding silicone and additional preparation delays while fully backed by ISPS warranties. GRIPTEK was designed by ISPS Innovations to address the many defects other spray painting Acrylic Splashback providers pass to their customer limiting the coating applicators liability and responsibility to the substrate performance. Which effects the consumer. 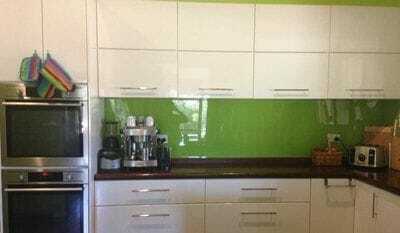 This is why ISPS Innovations is the preferred Acrylic and Polymer Splashback Supplier. With thousands of happy customers ISPS Innovations provide Australian Made and Australian Standard Compliant Building Materials. ISPS Innovations are leaders in colour matching and work to critical colour matching processes. An example if you were to paint existing joinery to a Dulux colour swatch and required this colour sample to be colour matched, ISPS will request that you provide a primary colour sample being your joinery piece, not the colour swatch itself unless you confirm and feel confident with the tone of the colour swatch & that it blends within your primary surroundings as colour match. Variations will arise on different substrates so please make your colour choices carefully you can request a sample at an additional charge to ensure you are satisfied with the product, visit our website . Choosing Colours . ISPS Innovations create Metallics in many shimmers. We have a course grade of metallic to suit everyone. IPA Acrylic Splashbacks and Bonethane Polymer Wall Panels are used in a variety of different application methods, be it your home, business or commercial practice, Aero Planes, Aquariums, Roofs the list is endless. IPA Acrylic Splashback and Bonethane High Heat Polymer Splashbacks and Wall Panels come ready to go under your guidance allowing our establishment to provide you a finished product for your interior project. Bonethane® is suitable for induction and cermamic cooktops. IPA Acrylic and Acrylics in general are used as shower wall Panles or Feature Walls. 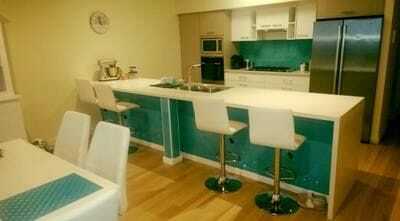 CulourTek Creations Benchtops, Kitchens, Partitions & Doors any colour. Replicating stone timber and Marble finishes in satin, textured or high gloss finish. 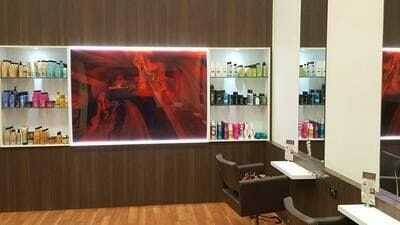 Bonethane Polymer Wall Panels and IPA Acrylic Splashbacks are available in Satin or high gloss finish. 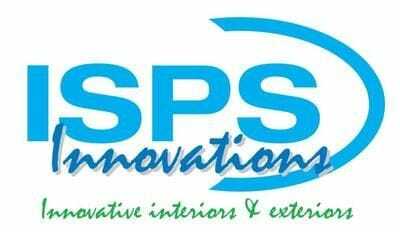 ISPS Innovations Supply Kitchen & Bathroom Acrylic splashbacks and Bonethane high heat polymer wall panels to Adelaide,Sydney, Melbourne, Geelong, Cairns, Tasmania, Brisbane,Queensland,Northern Territory Darwin, Western Australia, Perth, ACT, and outer country areas. Call us today and ask how we can turn your interior dream into a reality.